We can customize our pre-painted galvanized iron plain and corrugated sheets in any way required. We have the equipment to corrugate and cut sheets to any size and any thickness to match our clients requirements exactly. Our fencing division manufactures and fabricates PVC coated galvanised chain link fencing and barbed wire. One of today’s most widely used types of fencing, chain link’s popularity is due to its low cost, versatility and ease of installation. Using highly advanced technology and processes we can customise our chain link fencing to a client’s specific needs. We also stock a wide range of accessories. Our industrial services division offers state-of-the-art sharpening, retipping and welding services for a wide array of heavy-duty tools and blades. Working with businesses of all sizes, from big construction firms to small workshops, we use the latest computerised grinding machines for sharpening and high frequency brazing equipment for carbide tooth tipping. We provide a consultation service where we evaluate machinery and equipment on site and then give precise recommendations to maximise their lifespan and productivity. We don’t just source and supply the best building timber from around the world. We also operate an advanced timber-processing facility boasting the latest machinery, where we saw, mill and plane timber logs to our clients’ specifications. 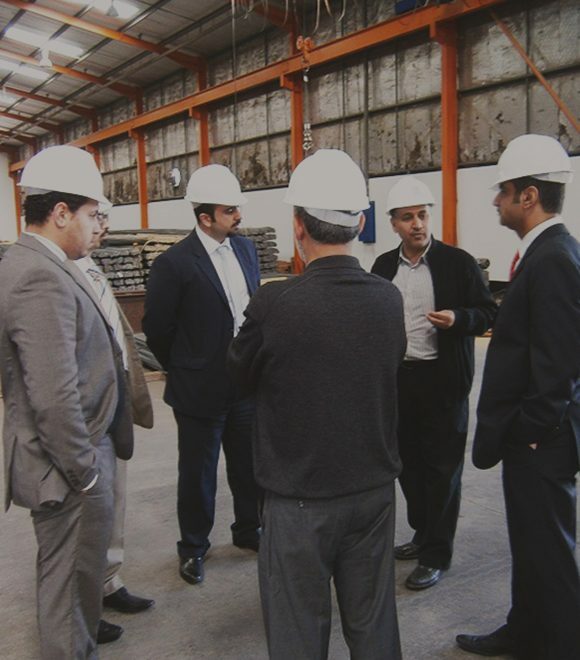 At Al Nooh Cut & Bend we use the best and most modern equipment to provide cut and bent steel to our clients’ exact requirements with minimal wastage. Our machines can cut and bend steel bars to any kind of shape and diameter from 4mm to 40mm and deliver a level of consistency not possible with manual technology. With our large fleet of mobile and fixed cranes, forklifts, trucks and trailers we can deliver any material to any site at any time. The fleet is fully equipped with GPS tracking devices to monitor performance of delivery and ensure that clients get their materials on time and in perfect condition. Al Nooh has built an unparalleled reputation as a retail supplier, but we also operate a wholesale division. Whatever your requirements in wholesale building supplies our seasoned and experienced professionals are ready to meet them. Al Nooh’s unmatched expertise and experience in our field allow us to offer a number of friendly and helpful networking and consulting services. We can bring together various parties, such as contractors, suppliers and clients, recommend people and businesses we have worked with and also act as a commission agent. We can even provide a full turnkey consultancy service. From the start of a project right through to completion we’ll offer an unrivalled combination of operational excellence and procedural understanding that ensures the best possible results.